Even as he was recording his 77th pole position on Saturday afternoon, there were few who thought that the British driver would maintain that position 24 hours later. But a nervy display from Ferrari on Sunday allowed Hamilton to fairly cruise to his 67th win, sharing the podium with chief rival Sebastian Vettel and team mate Kimi Raikkonen. The Mercedes had looked to be a hard car to drive during all of Friday and Saturday’s practice running, with both Hamilton and Bottas spinning at the Turn 6 chicane in FP3. But come Sunday, the four-time champion appeared to have the W09 exactly where he wanted it, as he controlled the race to extend his lead over Sebastian Vettel in the drivers’ standings to 24 points. It had looked set to be a Mercedes one-two with six laps left to go. But Vettel used DRS to sweep past Valtteri Bottas into Turn 1. When the Finn tried to fight back into Turn 2, he locked up and clipped Vettel. The German continued, pulling Raikkonen through with him, as Bottas dropped to fourth with a damaged front wing. Three laps later, Bottas hit Daniel Ricciardo’s Red Bull as the Australian tried to make a move into Turn 1 to mark a messy end of the race for the Finn, who ended up in fifth – a position he retained even with the 10-second time penalty he received post-race for his role in the incident. Ricciardo, on the other hand, will have been delighted to finish fourth, having started the race down in P12. Having finished qualifying in the pouring rain, polesitter Hamilton found himself on the grid on Sunday under a blazing sky. 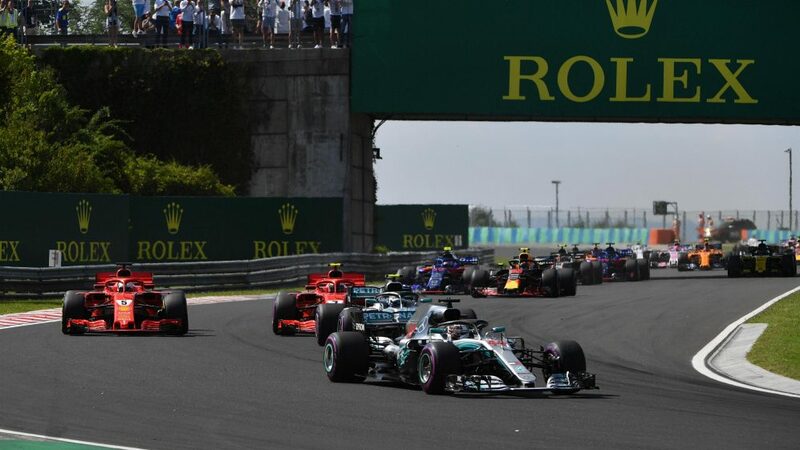 The Mercedes had looked to not enjoy the hot track temperatures in Hungary during practice, and many were predicting that if the two Ferraris starting in P3 and P4 could just get ahead of the silver cars off the line, it would be job done. The opportunity never presented itself, however, with all four drivers making almost identical getaways to initially maintain position. Sainz in the Renault had a lightning start from fifth on the grid and tried to challenge Raikkonen - who saw Vettel sweep around the outside of him at Turn 2 - for P4. But as Max Verstappen lunged down the inside of Sainz at Turn 1, the Dutchman snatched P5 away, while the Spaniard’s loss of momentum from the move saw him drop behind the Red Bull and then down to P8. 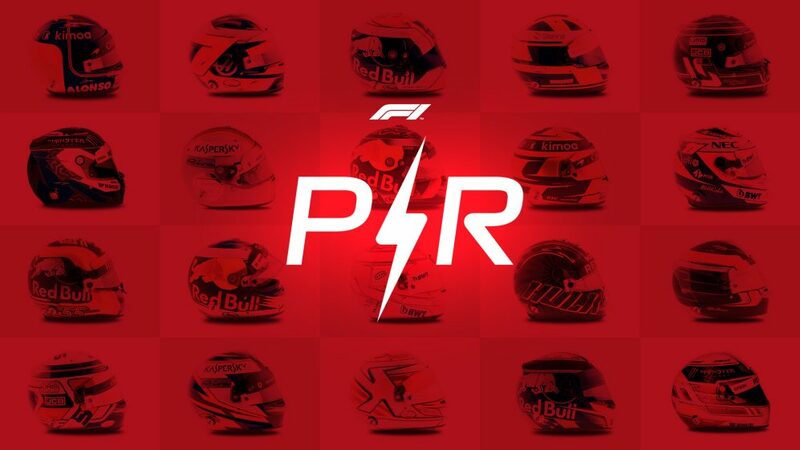 Behind, Magnussen jumped up from ninth to seventh, while Ricciardo, caught at the back of the midfield, was rudely bumped by the locked-up Sauber of Marcus Ericsson. The impact seemed to be largely superficial, with Ricciardo dropping to P16 but surviving to begin what would be an exciting afternoon for the Australian. As Ricciardo set about picking through the field, making his way up to fifth by lap 27, Hamilton led from Bottas and Vettel. On lap six, Verstappen pulled the sister Red Bull off to the side of the track, his power unit having appeared to fail. Bottas was the first Mercedes to pit on lap 16, releasing Vettel, who had started on the soft tyres, while both Mercedes had opted to start on ultrasofts before switching to softs. 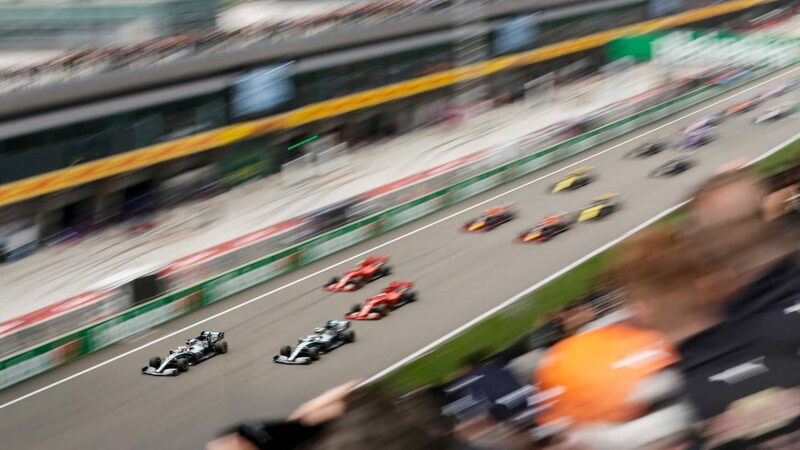 Hamilton pitted 10 laps after his team mate, and with Vettel leading the race and almost exactly a pit stop ahead of Bottas on track, it looked as if Ferrari was working the overcut perfectly on Mercedes. The idea was to pit Vettel after a long stint on the softs, bring him out in P2 on a fresh set of ultrasofts and let him get after Hamilton on his newer, faster rubber. That was the theory, anyway. However, between lap 36 and lap 40, it all went wrong for Vettel. The German found himself snarled up in traffic, especially hurt by the Renault of Sainz. As Bottas pumped in quick laps behind, Vettel finally pitted on lap 40, but a slow change on the front-left kept him stationary for 4.2 seconds. As he exited the pits, Bottas was just ahead and now able to act as rear-gunner for leader Hamilton eight seconds up the road. Advantage Mercedes. Even with Vettel’s fresher rubber, he wasn’t able to find a way past Bottas, and appeared to be struggling with overheating as he consistently ran out of the Mercedes’ slipstream down the main straight. Bottas’ pace allowed Raikkonen to close up to his team mate as well, and it briefly looked as though Ferrari might emulate Mercedes’ driver inversion at Hungary 12 months ago to see if Raikkonen could get after his fellow Finn. However, having upped his pace, Vettel finally made it past Bottas at Turn 1 on lap 65 of 70. Bottas switched to the inside for Turn 2 but locked up, clumsily clipping the side of Vettel’s Ferrari. They build them strong in Maranello, though, and Vettel and Raikkonen pulled away from Bottas, whose failed move had dropped him into the clutches of fourth-placed Ricciardo. As the old Formula Renault adversaries darted around one another down the main straight with two laps to go, Ricciardo attempted a move around the outside, with Bottas - lacking downforce with his injured front wing - again locking up and sending the Red Bull darting onto the run-off, with damage to its right flank. Ricciardo once again survived, however, crossing the line in fourth, while Bottas ended up fifth after following Mercedes' instruction to let the Red Bull back past. Vettel had to be content to follow title rival Hamilton home in second, left to consider how different it might have been if he’d pitted three laps earlier - or had his stop not been so slow. While Ricciardo earned Driver of the Day, another man who could have laid claim to that accolade was Pierre Gasly. Having started P6 in the Toro Rosso with faster drivers behind him, many would have forgiven the Frenchman if he’d dropped away in the race. But he managed his first stint brilliantly on the ultrasofts, making them last until lap 33, and his second top six finish of the season was his well-deserved reward. McLaren also merited praise. 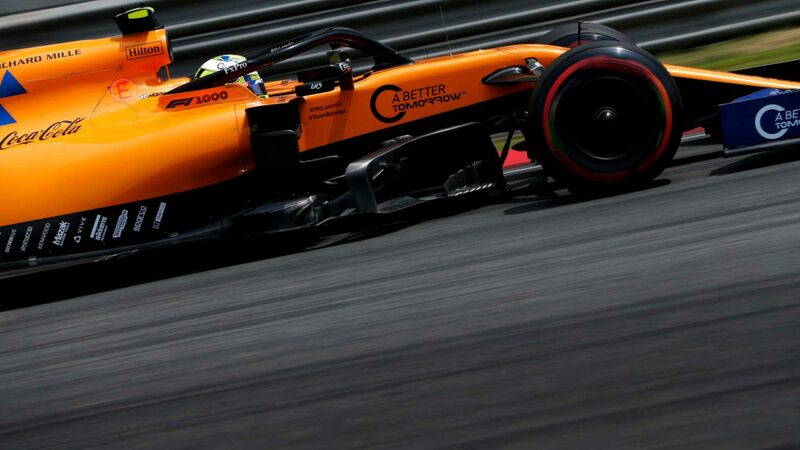 Both Fernando Alonso and Stoffel Vandoorne long-stinted their soft tyres before switching onto mediums. Given the importance of track position in Hungary, that saw them in P8 and P9 once the pit stops were all accounted for. Had Vandoorne not had to retire from that ninth place after a gearbox failure, it would have been a well-earned double-points finish, as the team appeared to find the form that they’d enjoyed earlier in the season. Vandoorne and Verstappen aside, the only other DNF was Charles Leclerc, whose Sauber sustained damage after contact at the start when he found himself the filling in a Force India sandwich. 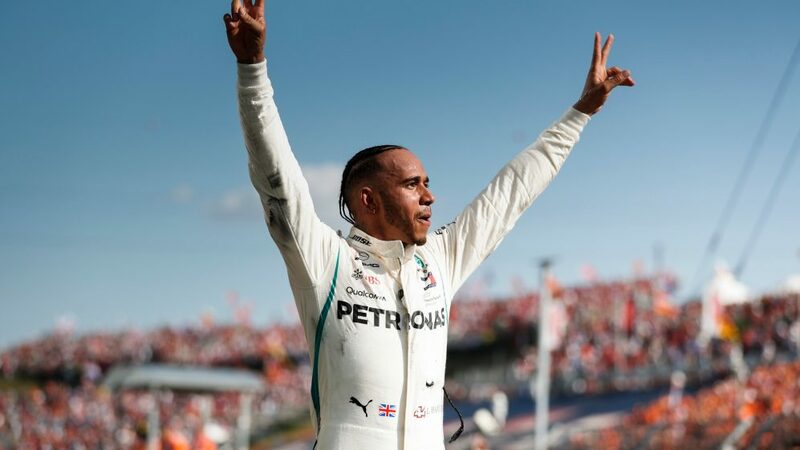 Up at the front though, it was Hamilton who claimed his sixth Hungarian Grand Prix victory, which puts the Hungaroring joint with Montreal’s Circuit Gilles-Villeneuve as the British driver’s top hunting ground on the F1 calendar. However, Ferrari will have been relieved to stem the damage to Mercedes, on a day when the Silver Arrows looked like they could well have had their second one-two in as many races. Despite five wins before today in Hungary and four titles, none of Hamilton's championships have come in the same year as he's won at the Hungaroring. Hamilton’s 17.123s winning margin was the second largest of the year so far – the largest was Hamilton’s 20.593s in Spain. 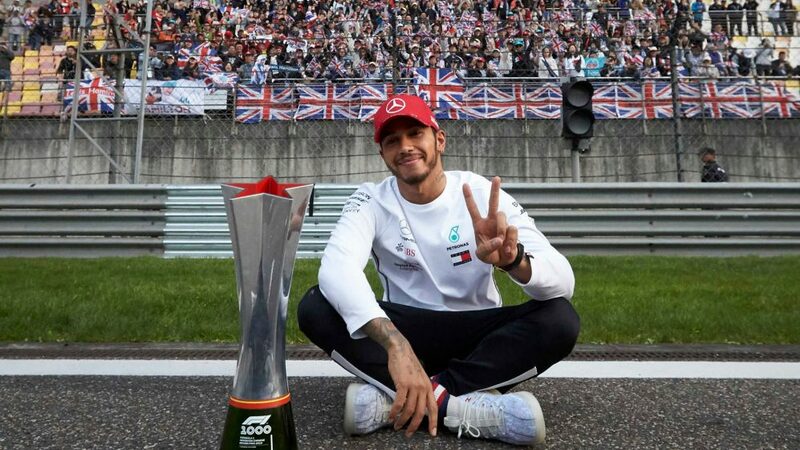 The last time Hamilton had a winning streak going into the summer break – his four consecutive victories in 2016 – he still lost the championship at the season end. Raikkonen’s podium was his ninth in Hungary, a record for the circuit. Despite that, he’s only won once here, back in 2005. Magnussen’s P7 was the first time the Dane has ever scored points in Hungary. Sainz, who finished P9, has scored in the last three Hungarian Grands Prix. It was Alonso’s 37th birthday on race day, and he maintained his record of always taking birthday points – he was 10th at Germany in 2001 and fifth in Hungary in 2012. Ricciardo maintains his 2018 record of only appearing on the podium after winning a race after finishing in P4. Similarly, Bottas maintains his own record of only appearing on the podium in second place after ending up P5 in Hungary. Hungary marked only the second time this season that both Haas cars have finished in the top 10. The other time was in Austria. There is a two-day post-race test at the Hungaroring on Tuesday and Wednesday, but then it's holiday time! After the fourth Grand Prix this July, Formula 1 enters its summer break, with the drivers returning to their cockpits for Free Practice 1 in Belgium on August 24.